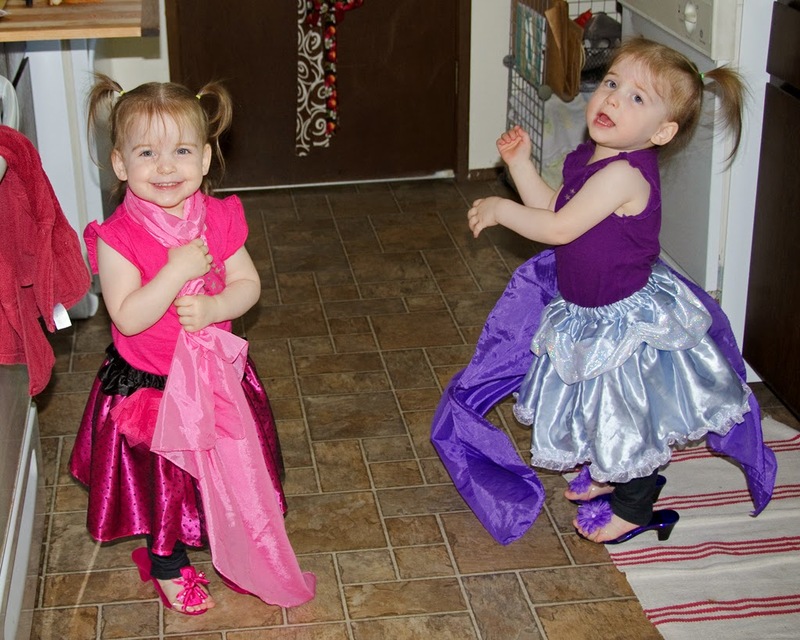 These girls like to dress up! If it's not the play clothes we got for their birthday then it's going through their dresser and changing clothes 100 times! Are they really only 2?? ?